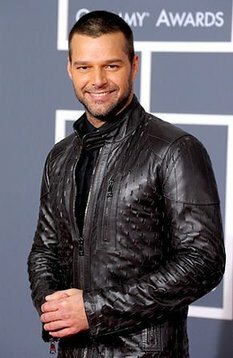 Ricky Martin admitted March 29, 2010 that he was gay in a blog posting, ending years of speculation on the subject. Ricky Martin is no longer denying the rumors: He& #39;s gay. In a statement posted via Twitter in both Spanish and English, and later confirmed with his representative, Martin said: "I am proud to say that I am a fortunate homosexual man. I am very blessed to be who I am." For many, Monday& #39;s announcement will come as no surprise; the "Livin& #39; La Vida Loca" singer& #39;s sexuality has been speculated about for years. But the Puerto Rican star, who got his start as a child in the teen groupMenudo, never directly addressed it and was usually seen at events with beautiful women on his arm. Martin, 38, said he decided to reveal the truth after working on his memoirs helped him realize that he had to be free with himself, and not keep any more secrets. "From the moment I wrote the first phrase I was sure the book was the tool that was going to help me free myself from things I was carrying within me for a long time. Things that were too heavy for me to keep inside," he said. "Writing this account of my life, I got very close to my truth. And this is something worth celebrating." Martin said one of the reasons why he kept his homosexuality hidden was because he was told by some that it would hurt his career. While his U.S. career peaked after the release of his 1999 self-titled English album, a multiplatinum success that included the hits "Livin& #39; La Vida Loca" and "Shake Your Bon-Bon," he is still a hugely successful Latin artist. "Because all this advice came from people who I love dearly, I decided to move on with my life not sharing with the world my entire truth," he said in his statement. "Allowing myself to be seduced by fear and insecurity became a self-fulfilling prophecy of sabotage. Today I take full responsibility for my decisions and my actions." Martin, who is the father of two boys born via surrogate in 2008, said he couldn& #39;t continue to hide his sexuality now that he is a father: "Enough is enough. This has to change." Martin& #39;s book is still a work in progress.